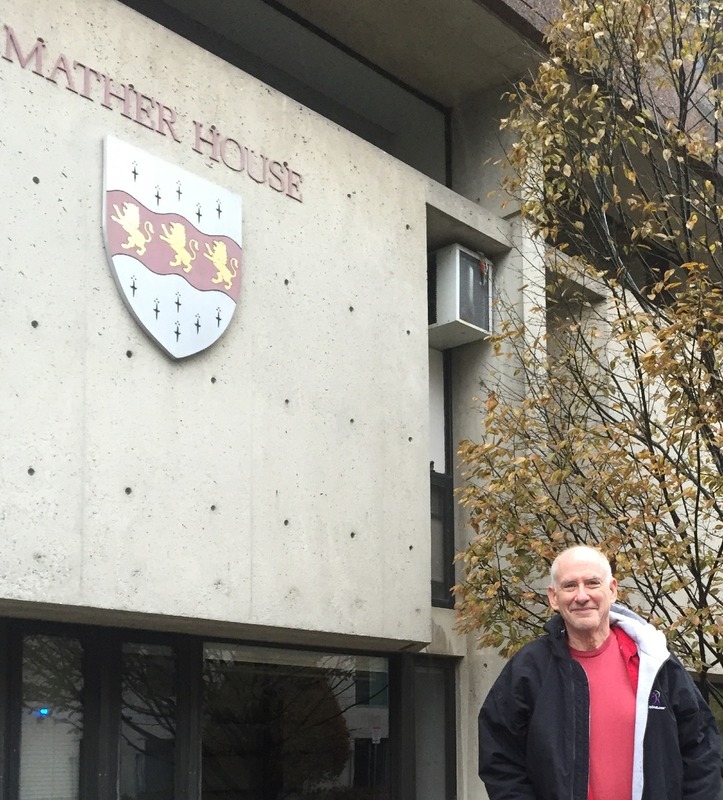 Last January, a mere 43 years after I packed up and moved out of Mather House, I moved back in. I regularly eat in the dining hall, where I explain to my fellow Matherites that, despite my title of “visiting scholar,” I am neither visiting (after all, I am returning) nor a scholar (as they themselves recognize after five minutes’ conversation). During our banter across long wooden tables, the most frequent subject of conversation is how things have changed since my first stint in the House. “The food is so much better” is the first thing I tell them. If pressed to elaborate, I launch into a description of the Salisbury steak we were served back in the day, a grayish lump of “mystery meat” topped by glistening globules of fat. The students chuckle politely and then I tell them the second thing: rampant career-obsession. They nod; they know. Harvard College is being transmuted from a sanctuary for academic exploration to a vocational school. The ideal of learning for learning’s sake has pretty much been abandoned. The purpose of four years on campus now is to prepare undergraduates for what comes next. And what comes next for many of them is a slot at an investment bank or management consultancy paying well into six figures. They do an internship in the summer, get the offer in September of their senior year, and, presto, join the hegira from Cambridge to New York after graduation. They’re like athletes waiting for the NFL draft. Instead of going to the Patriots or Packers for a boatload of cash, they sign with Morgan Stanley or McKinsey. True enough, some undergrads are sprinting down other paths. At least two students I met in Mather last year are working for companies they started in their dorm rooms. Facebook’s Mark Zuckerberg ’07 is the icon for this small band. I’ve also enjoyed a meal with a cohort of creatives who want to make it big in entertainment. Both literally and figuratively, Mather House alum Conan O’Brien ’85, looms large here; a huge portrait of him hangs in the junior common room. Even for the creatives, though, college is a bridge from high school to career. At Commencement exercises, Harvard’s president welcomes new graduates to the ranks of “educated men and women.” Once that might have been enough, an achievement sufficient in itself, but no more. Whether drafted by Deutsche Bank, bound for Bain, or headed for Hollywood, for these graduates college is a mere stepping stone to material success. Each November, sophomores must declare their “field of concentration”—Harvard-ese for major. A few weeks ago, one young woman told me she was opting for economics. If she chose philosophy, she explained, her father would have a heart attack. I majored in history, which was the most popular concentration 40 years ago. Now it’s eleventh. It just isn’t seen as useful anymore. What happened to college as a place to explore, to grow up, to learn to learn, and to love to learn? Sure in my day we had plenty of pre-meds, but we had passels who went on to graduate school in the humanities or a job at a local newspaper, or who just graduated not having figured out what next. First, the pathway to Harvard has narrowed. The college now admits only one of every 16 high-schoolers who apply. Harvard freshmen have been accumulating achievements since kindergarten. They scored 2400 on their SATs, shone as high-school valedictorians, won national debate contests, or swam the butterfly in record time. Once on campus, they begin searching for that next rung on the ladder. They can’t help it. They’ve been trained to perform that way. The expense of a college education sticks out as reason number two. In my own first year at Harvard, tuition, room and board cost about $3,400. Today the bill runs nearly 20 times higher. Whether paid by parents, scholarship, or a combination of the two, a sum so exorbitant—an outlay approaching $300,000 for four years—cries out for justification as an investment. Even President Obama wants to rank colleges according to what their graduates make 10 years after receiving their diplomas. Economics, government, and computer science top the list of most popular concentrations. Why? Presumably because they are viewed as useful for a career in business, policy-making, or high tech—a lot more useful than studying Jane Austen’s novels, the French Revolution, or Rembrandt’s oeuvre. Is that assumption correct? A couple of weeks ago I went to a lecture by James McNerney, a onetime English major from Yale, who ran the aircraft designer and manufacturer Boeing for a decade. Whatever you think of Carly Fiorina, she did head up what was once the world’s most valuable high-tech company, having majored in history at Stanford. I myself went from history major to Silicon Valley software entrepreneur and novelist. One of my buddies in Mather took Chinese, so he could read up on Vietnamese history, and today presides over the National Committee on United States-China Relations. Sure, the country needs investment bankers, but even more pressing is the broad need for people who can think: think critically, think broadly, think innovatively, think empathically. Whom would you rather have grapple with the ethical questions raised by experimentation using human embryos, a government major or a philosopher? To head their commission of inquiry on the subject, the British government chose the latter, in the person of Mary Warnock. Whom would you rather have negotiating with the Chinese on cultural exchanges, an East Asian studies concentrator (0.4 percent of Harvard undergraduates) or an economics concentrator (14.7 percent)? Shouldn’t a liberal-arts education equip undergraduates with the ability to look dispassionately at the blandishment of big bucks? Wouldn’t we want a twenty-first-century Shakespeare to have the backbone to turn down that $150,000 job offer from JPMorgan Chase? Or should Harvard resign itself to sending a generation of cynics—defined by Oscar Wilde as those who know “the price of everything and the value of nothing”—out into the world? Not everyone has to major in philosophy or history or English or East Asian studies. Economics, government, computer science, and every other Harvard concentration offer plenty of intellectual challenges. Still, some students I’ve spoken to don’t want to use their time at Harvard as a mere stepping stone to a high-paying job, but they are being swept along by pressure from parents and peers. In the end, Harvard has a responsibility to re-establish a campus culture where students understand that their future success may well be measured by value and not by dollars. Keith Raffel ’72, who just completed a year as an Advanced Leadership Fellow (see “Advancing Leadership,” March-April 2014), has worked as a staff member of the U.S. Senate Intelligence Committee, founded a Silicon Valley software company, published five novels, and run the business side of a genomics company.